When will be Street Sharks next episode air date? Is Street Sharks renewed or cancelled? Where to countdown Street Sharks air dates? Is Street Sharks worth watching? When an evil genetic-engineer, Dr. Paradigm, illegally experiments with an untested DNA genetic formula, four brothers are accidentally transformed into monstrous half shark - half humans! Delighted with his success, the diabolical madman seeks to alter nature and tailor all humanity into sea creatures of his own design and control! The Bolton brothers - John, Bobby, Coop and Clint - team up to stop Dr. Paradigm and his deadly Seaviates from transforming the citizens of Fission City into mutants with no free will. 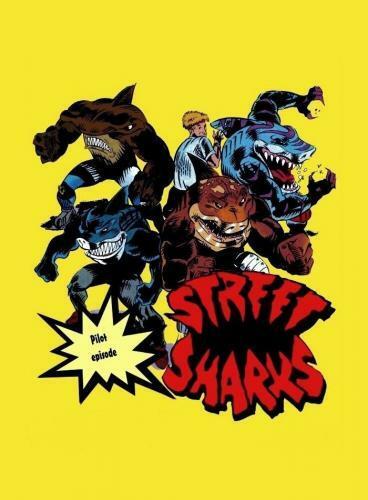 So hold onto your fins as the heroic Street Sharks kick some serious fin as well as satisfying their voracious appetites. Street Sharks next episode air date provides TVMaze for you. EpisoDate.com is your TV show guide to Countdown Street Sharks Episode Air Dates and to stay in touch with Street Sharks next episode Air Date and your others favorite TV Shows. Add the shows you like to a "Watchlist" and let the site take it from there.